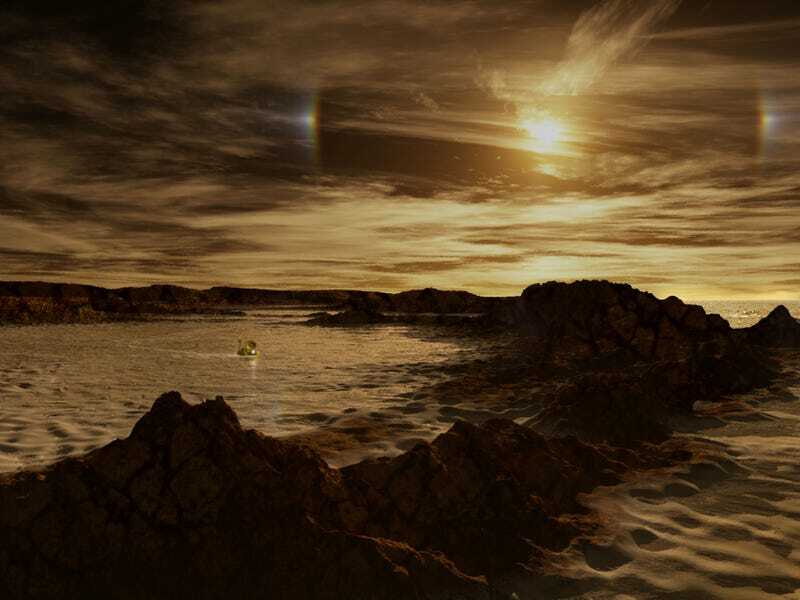 NASA has approved funding for 12 futuristic projects, including a submarine to explore the methane lakes of Titan, an aerial drone for Mars, and a probe to analyze the surface of Europa. You can learn about each individual project here. Image: Ron Miller, who wants to call this "Lake Bonestell" after famous Titan artist Chesley Bonestell.